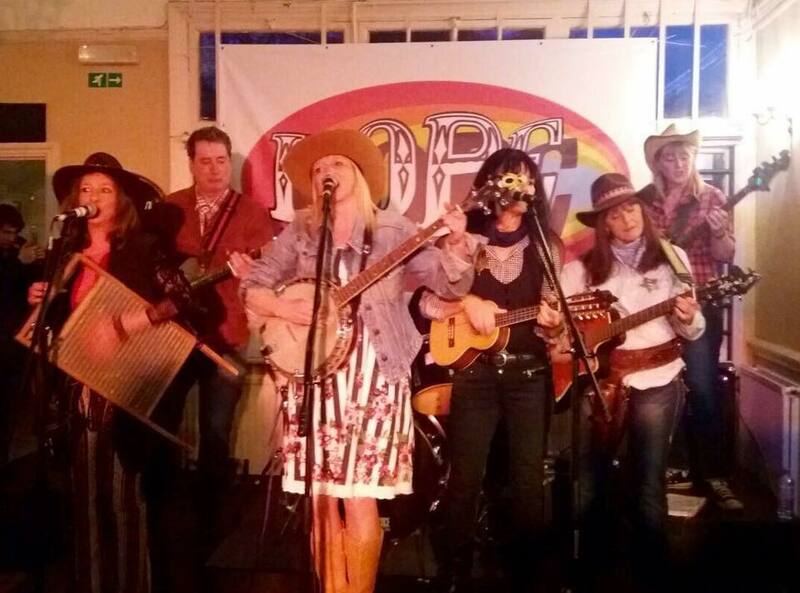 Gearing up for their renowned Hope Festival later in May, the Hope Festival boys will be coming to Southwark Sports Lawn Bowls Club to give us all a free taster of what to expect at their renowned annual summer jamboree. The Hope Festival is a non profit making organisation and donate all proceeds to different charities every year. In keeping with their non-profit making philosophy, they will be putting this event on for FREE. A great opportunity to come and see some of South London’s top local talent in a great local community resource – who also happen to be a non-profit making set up. A match made in heaven. Sasha and the Shades a five piece band fronted by Sasha Adamczewski. If you think you can smell something fishy, it is probably Ukadelix who describe themselves as a band of trouts. Essentially a cover band, The Ukadelix perform a repertoire of songs ranging from 1920’s tunes to more contemporary numbers. Other performers include The Gits, fronted by East Dulwich’s favourite comedian Steve Frost, who will be performing their unique brand of comedy punk. Plus The Dust Bunnies will be proving that they are made up of much more than dust and Darwins Quilt will also be throwing themselves in to the mixer. 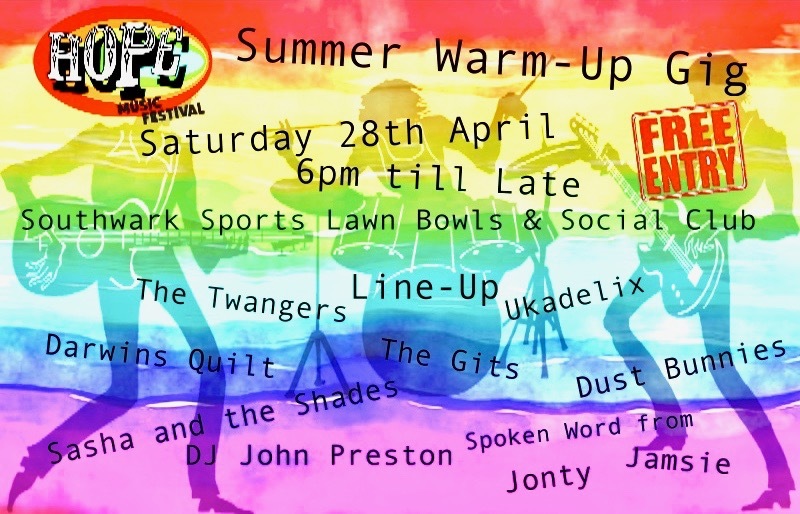 DJ John Preston will be spinning tunes on the decks and there will be spoken word from Jonty and Jamsie. The night starts at 6pm and will continue until around 1am.